Christmas message from BSBI President: click here to read Chris's message for 2018, focused mainly on - you guessed it - herbaria! "Herbaria are one of the most fantastic botanical resources I know. And one of the most under-used and under-appreciated. What better way to spend a cold winter's day than checking out those difficult to separate species in an herbarium, whether large or small. Or admiring, perhaps with a certain horror at the number of specimens, the rare plants one has never seen in the wild. Or in some cases maybe never will because they've all ended up on herbarium sheets! Many local herbaria are themselves on the danger list. I'd like to encourage every plant-lover, from expert to beginner botanist, to visit a local herbarium at least once in 2019. And then email me at herbaria@bsbi.org to tell me about your visit - and maybe write a short report for publication on the BSBI News & Views blog? 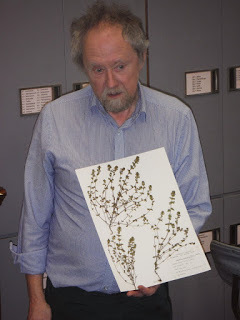 Herbaria: use them or lose them!" Click on the link here to view BSBI's spreadsheet giving information on, and contact details for, every herbarium that we know about in Britain & Ireland. We are updating the spreadsheet regularly based on the information that you send us - thank you! Please let us know at this address if you are aware of any changes. For international herbaria, visit Index Herbariorum, although details are not as up-to-date as on BSBI's spreadsheet. Many herbaria welcome botanists who wish to visit their collections, but you do need to contact them in advance to arrange your visit. Use the list (above right) to get in touch. 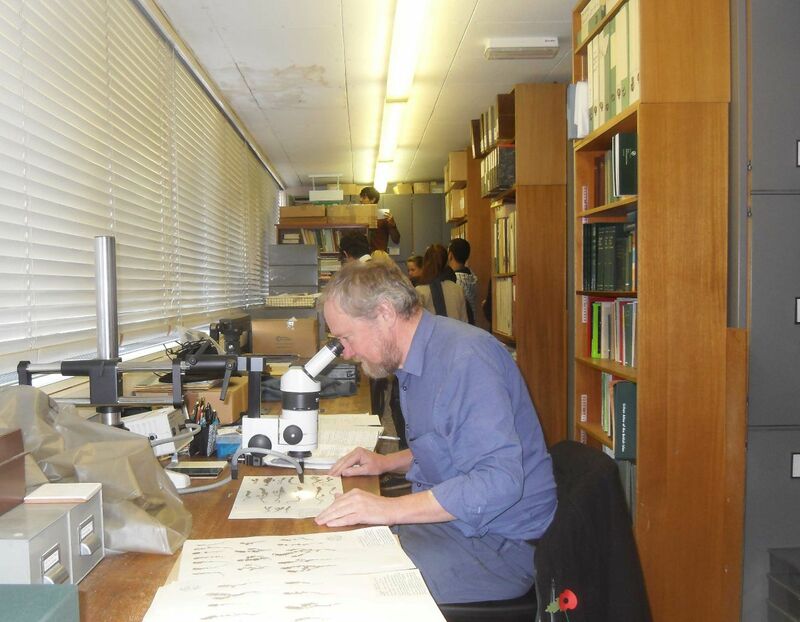 We'd be happy to publish your report on your herbarium visit on the BSBI News & Views blog. - email Chris to discuss. You can also type 'herbarium' into the blog's Search box to see previous reports from a range of botanists - and to find out what goes on behind the scenes in a herbarium! 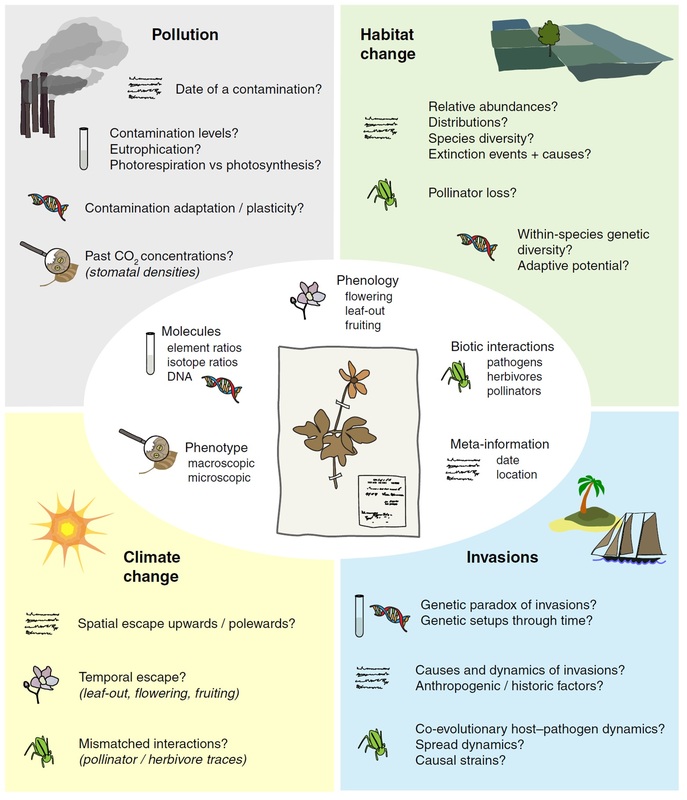 The image below summarises some of the many uses of a herbarium. Nice blogpost from February 2019 by trainee herbarium curator Imogen on her experience behind the scenes at the Horniman. Published on the excellent NatSCA blog. The BSBI Code of Conduct offers guidance on what you can (and can't) collect for a herbarium. Article on ' 100 Uses for a Herbarium'. Click on the link to check out BSBI's 'Herbarium Curators' feed on Twitter. 3 short videos from the Herbarium at RBG Edinburgh: an introduction; guide to collecting and pressing specimens; guide to mounting specimens. 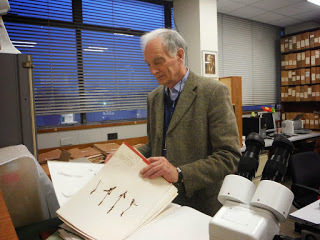 Click on the link for the Natural History Museum's British & Irish Herbarium. Go behind the scenes at the Univ. Cambridge herbarium where some of Charles Darwin's specimens are stored. The new website for Univ. Reading's herbarium is here. Find out how seed collectors around the world use the herbarium at RBG Kew and read about collections held at Kew. More resources are in the pipeline - if you know of any helpful videos or articles about herbaria, please send them to us so we can share them with fellow botanists.